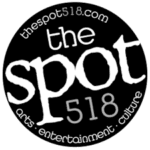 We have an expert-led walk-in clinic on the first Tuesday of every month from 9 a.m. to noon, and an instructor-led computer class the third Tuesday of every month at 10 a.m. These classes are free to our members. Join our expert, Tom Krauser, to expand your computer skills in our computer lab, located on the first floor of the Senior Center. Call 372-4969 to reserve your spot. Our senior fitness classes include a low-impact cardio segment and chair exercises (seated and standing). Work with free weights and dowels are included. Class content is focused on maintaining or increasing strength, flexibility and balance. Proper breathing is emphasized. This class adapts classical yoga poses, breathing and meditation for the chair. Chair yoga is for anyone interested in the benefits of yoga without having to be on the floor. We have instructor-led painting classes the last Tuesday of each month at 10 a.m. These classes are free to our members. We offer a dance fitness program designed for beginners to experienced seniors. Get fit while having fun. Bridge is played every Thursday at 12:45 p.m. at the Senior Center and Town Hall. If you are interested in playing bridge or just want to be a substitute, call 372-4969. Mah Jongg is played on Tuesdays and Thursdays at the Senior Center at 10 a.m. and 1 p.m. If you are interested in learning or playing, please call Mah Jongg coordinator Joan Almas at 888-6973. This class offers a low-impact cardio segment and exercises to increase strength, flexibility (stretching) and balance. A relaxation component is included. Proper breathing is emphasized. Hand weights and mats for floor work are included. The Senior Advisory Committee helps plan senior programs and activities, and advises the Town Board regarding senior issues. The committee meets monthly at the senior center on the last Tuesday of each month at 1:30 p.m. If you are interested in participating, contact Lisa Weber, chair of parks and community programs, by email at lweber@niskayuna.org. Become a member and receive email notifications of events and trips, as well as newsletters mailed directly to your home. 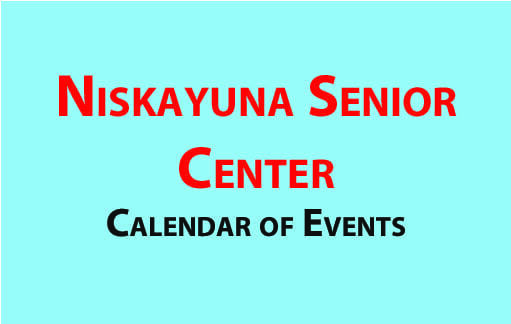 You can also connect on Facebook at www.facebook.com/Niskayuna SeniorCenter. Please call the center for more information.